St. Catherine: One woman who brought 352 souls to Christ! 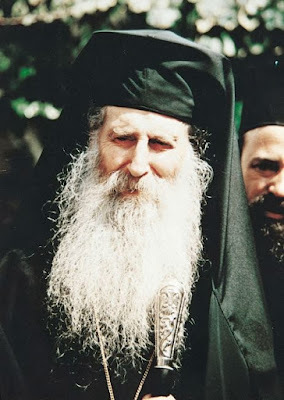 ***The Metropolitan is referring to the number of clerics of his Church in Greece. Kontakion 1 In joy of heart let us hymn with songs the newly revealed star of Orthodoxy, the newly erected bulwark of the Church; for, glorified by the activity of the Spirit, he pours forth the abundant grace of healings upon those who cry: Rejoice, O Father Nektarios, model of patience and lover of virtue. Rejoice, you of whom the enemy is afraid! 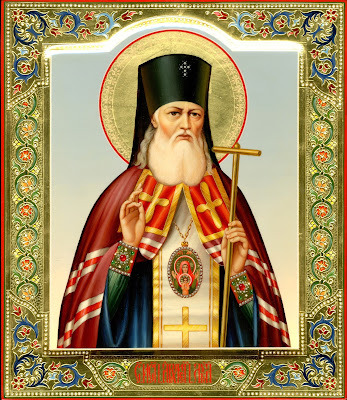 Rejoice, divine teacher of the Orthodox! Rejoice, you in whom Aegina rejoices! Rejoice, O Father Nektarios, model of patience and lover of virtue. Having adorned yourself with meekness of soul from your youth, O holy father, one fervent desire consumed your heart: to become a preacher of the Holy Gospel. From childhood you knew the Scriptures which are able to make man wise for salvation, teaching them to cry: Alleluia. Rejoice, divinely inscribed book of new morals! Rejoice, for you wisely spurned material things! Rejoice, honored clarion of grace! 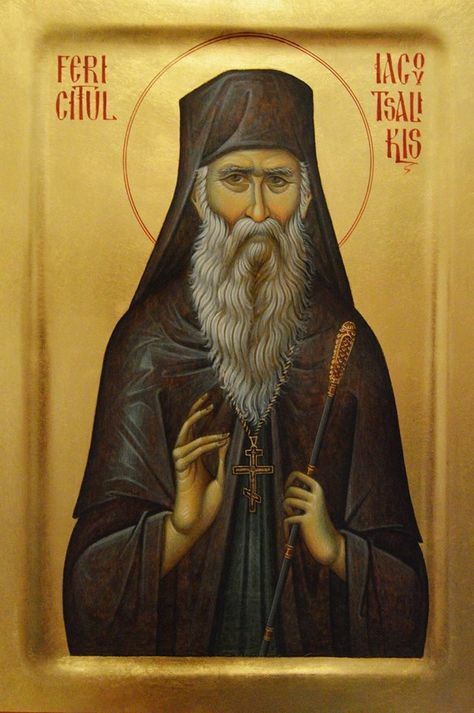 Rejoice, O Father Nektarios, model of patience and lover of virtue. 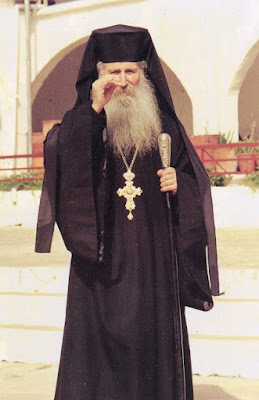 As a fervent lover of the monastic life, you often visited the Monastery of the Holy Fathers, conversing there about the spiritual struggle with its holy founder, Elder Pachomios. 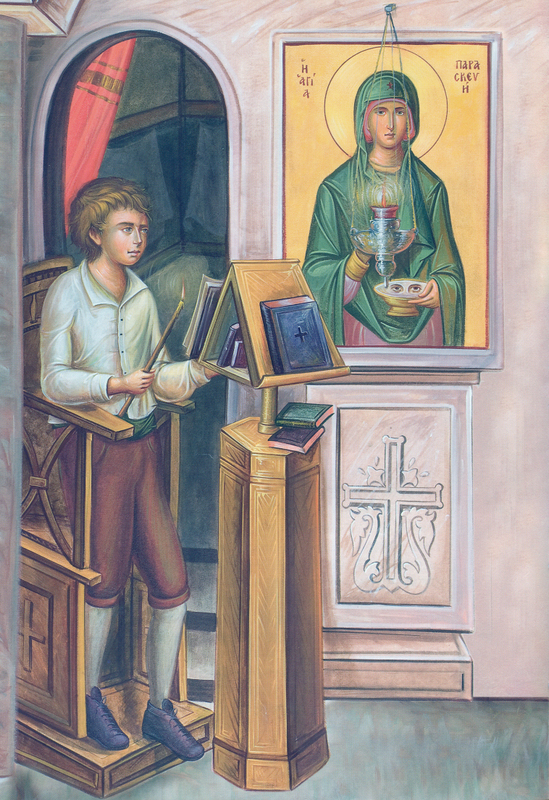 As you aspired to the angelic habit, you were tonsured and dedicated yourself to prayer on behalf of the people as you sang: Alleluia! Rejoice, you who pour forth the nectar of grace upon all believers. 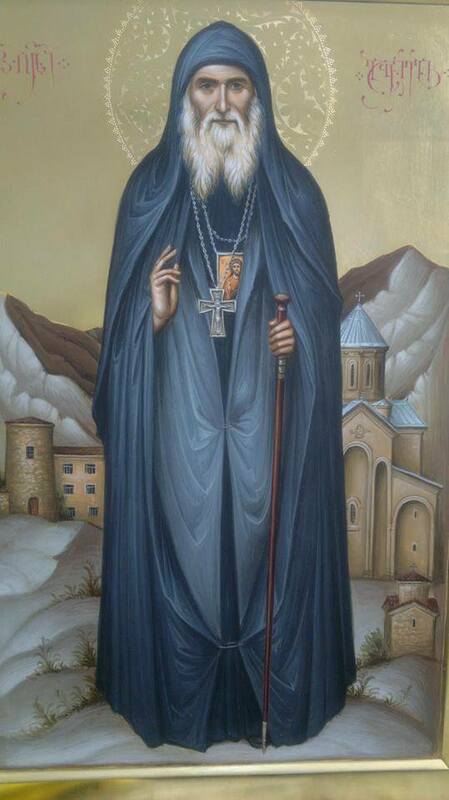 Rejoice, O Father Nektarios, model of patience and lover of virtue. Arrayed in true holiness and pure morals, Patriarch Sophronios of Alexandria saw in you great potential for service to Christ’s Holy Church. You were ordained to the sacred priesthood and elevated to the office of Bishop. 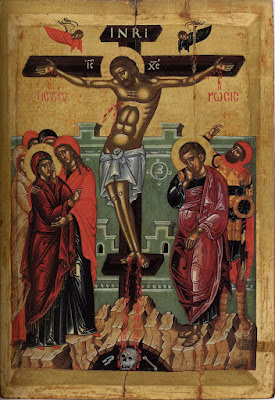 O wise one, you offered your life to Christ as a pure sacrifice, ever chanting: Alleluia! Rejoice, pure and honorable abode of holiness! Rejoice, good guide of men! Rejoice, for through you we are filled with spiritual delights! Rejoice, O Father Nektarios, model of patience and lover of virtue. When the enemy of our souls saw you laboring in humility, he could not abide your holy presence among the people. Raising up slanders, inciting rumors, he sought to destroy your good name and to lead you to bitterness and anger. But you overcame all of his devices, for in all things you didst meekly chant unto God: Alleluia! Rejoice, inexhaustible bread for the hungry! Rejoice, model of spiritual meekness! Rejoice, you who repaid evil with good! 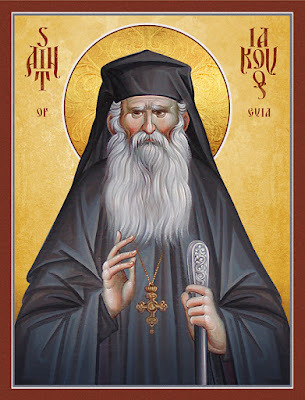 Rejoice, O Father Nektarios, model of patience and lover of virtue. 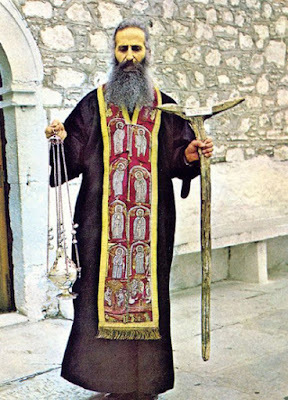 Having within you a strong desire for the life of stillness on the Holy Mountain, you could not abandon the people but heeded their call to remain in the world and to proclaim the words of salvation. Freely you received and freely you gave, calling all men to exclaim: Alleluia! Rejoice, habitation adorned of the Holy Spirit. Rejoice, you who delivers people from the abyss of sin! Rejoice, you who dispells falsehood! Rejoice, O Father Nektarios, model of patience and lover of virtue. Invited to assume the direction of the Rizarios Ecclesiastical School, you brought peace where there once existed confusion, for you treated all as a loving father. Wherefore your students in gratitude sang to God: Alleluia! Rejoice, you who makes wise the unwise by your teachings! Rejoice, new Jude, who has given us the exhortation to contend earnestly for the faith! 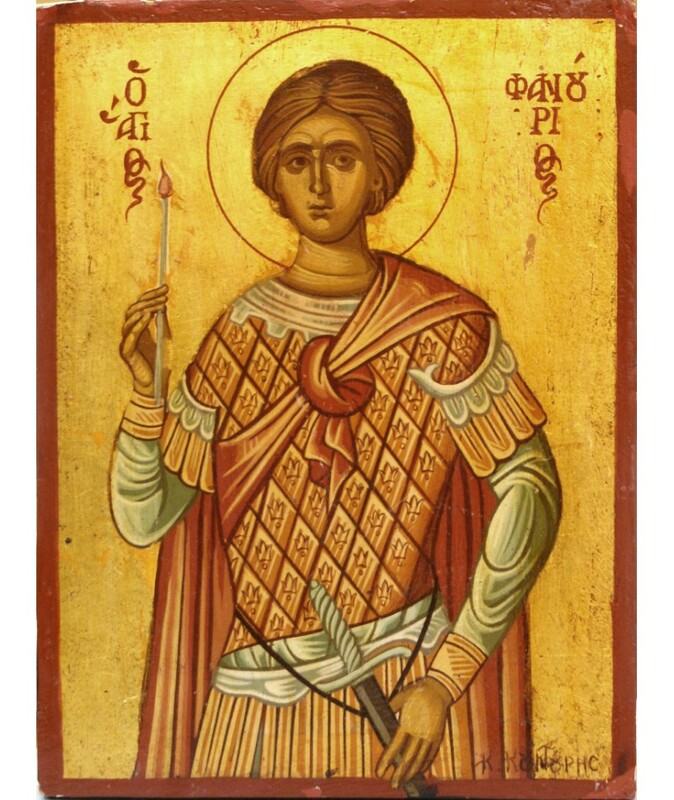 Rejoice, new Damascene, who has defended the faithful from impious doctrines! 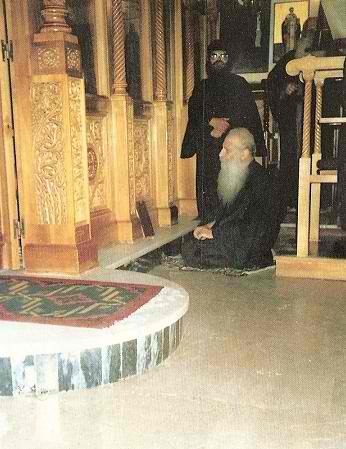 Rejoice, O Father Nektarios, model of patience and lover of virtue. 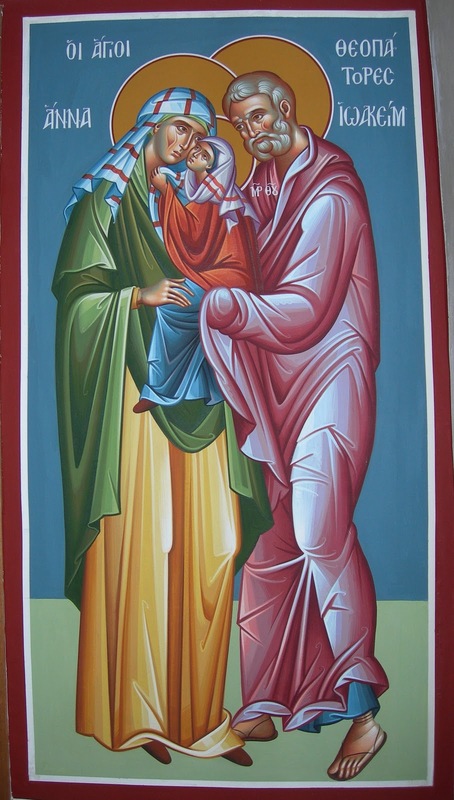 Wisely adorned with understanding and meekness, you brought together venerable virgins in godliness, leading them to Christ by your words and the works of your blameless life, teaching them to sing: Alleluia! 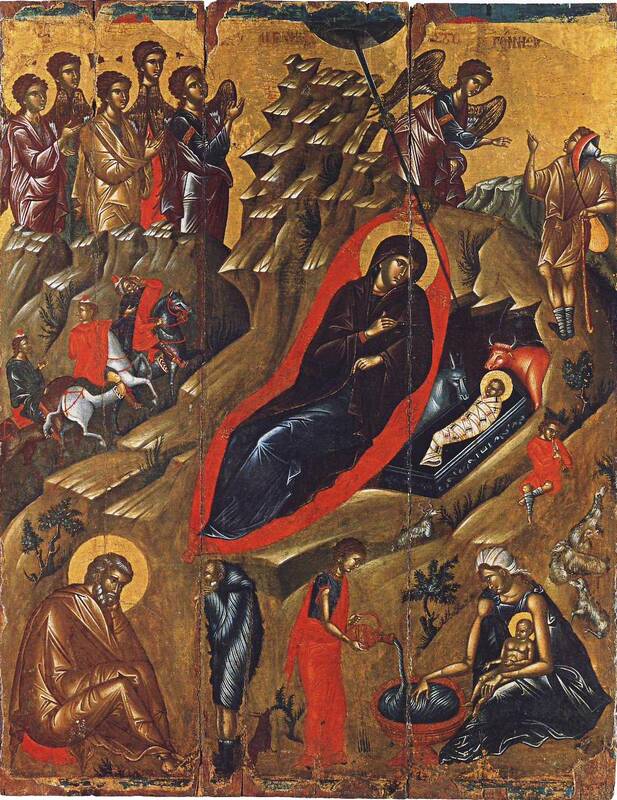 Rejoice, all-luminous lamp, beloved by all! Rejoice, holy purification of mortals! Rejoice, O Father Nektarios, model of patience and lover of virtue. 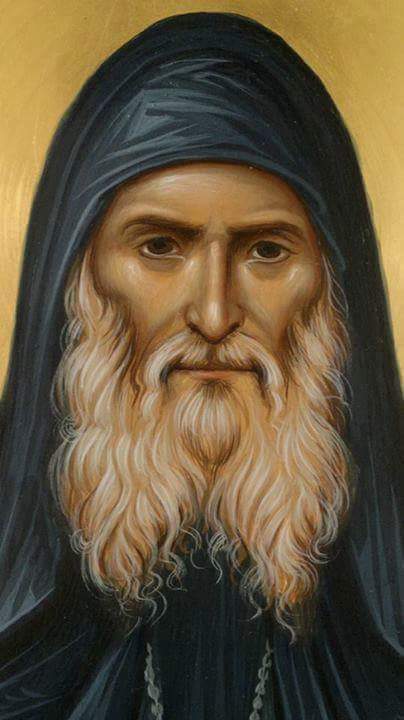 Worldly-minded men cannot understand your patience, for despite the many cares of the monastery, you did not cease writing edifying books for Christians living in the world. Wherefore, amazed at the great wisdom which you were given, we cry to God: Alleluia! Rejoice, you who received in exchange heavenly blessings! Rejoice, you who subjected your spirit to your sweetest Lord Jesus! Rejoice, instructor in the prayer of the heart! 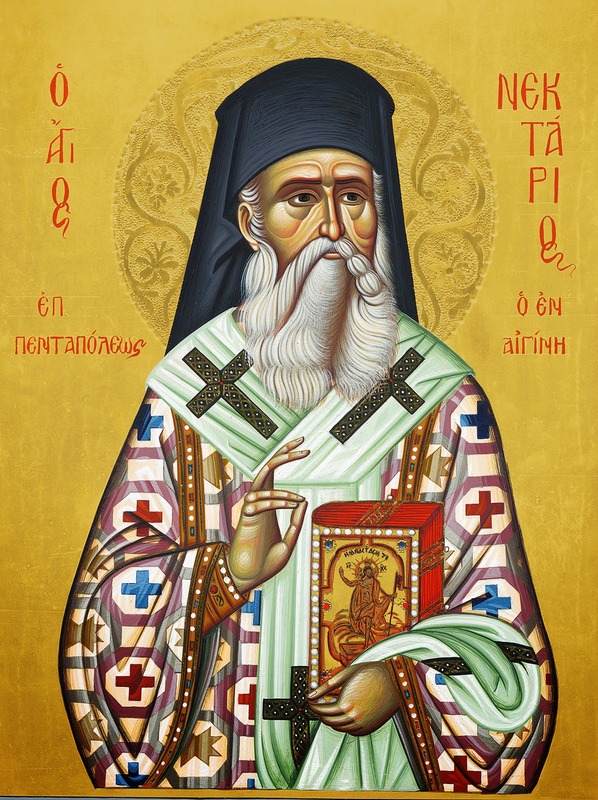 Rejoice, O Father Nektarios, model of patience and lover of virtue. 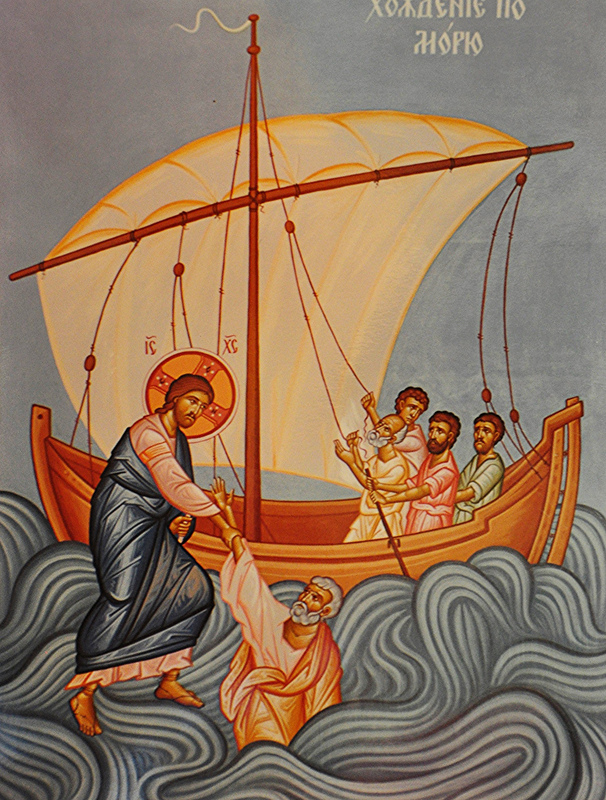 Never neglecting mental prayer but always crying from the depths of your heart, “Lord Jesus Christ, have mercy on me,” all bore witness that you had become completely spiritualized. Noticing in you an exceptional sweetness which radiated from your serene countenance, the faithful joyfully exclaimed: Alleluia! 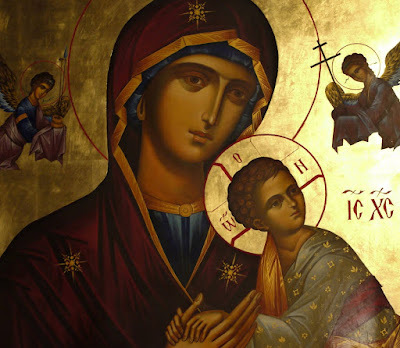 Rejoice, you who always honored His Holy Mother! Rejoice, you who work many miracles through the power of God! 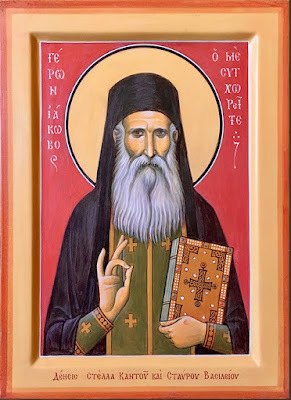 Rejoice, O Father Nektarios, model of patience and lover of virtue. When the time came for you to depart to Christ to receive the Crown of righteousness laid up for thee in heaven, you endured severe pain and suffering with exemplary patience. 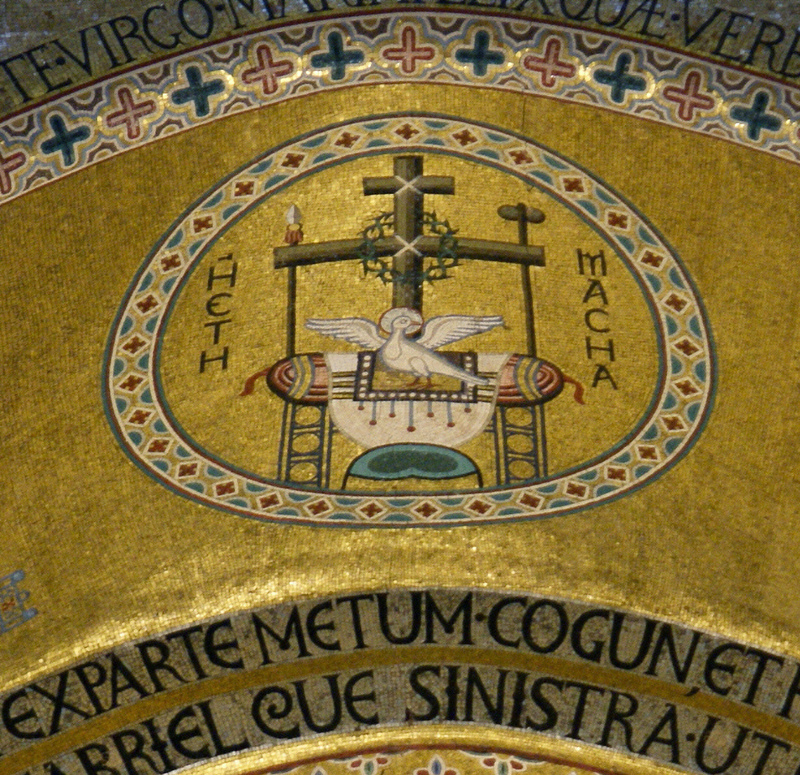 Always thanking the Heavenly Father and blessing His all-holy name, you continually cried: Alleluia! Rejoice, constant stream of mercy by which we are cleansed! 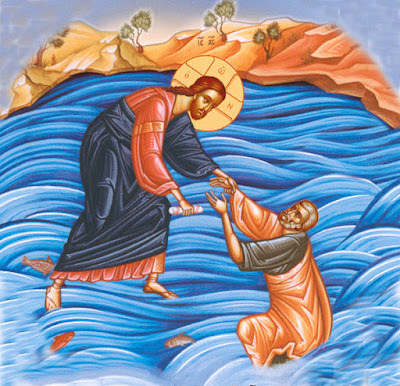 Rejoice, new pool of Siloam, healing the infirm! Rejoice, miracle worker of the faithful! Rejoice, O Father Nektarios, model of patience and lover of virtue. Multitudes of the faithful from all lands continually flee to your shrine, O holy one, and from your precious relics faithfully obtain divine grace and answers for their every petition. O Father, as you know how, fulfill you also the petitions of those who now cry: Alleluia! 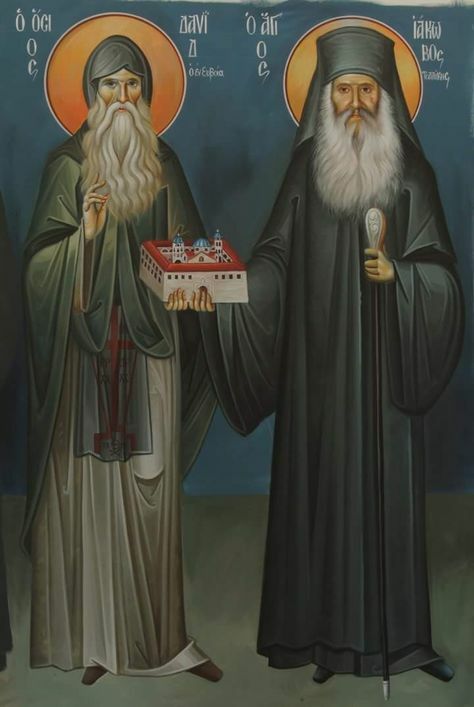 Rejoice, you who were sanctified both in soul and body! Rejoice, restoration of health to the sick! Rejoice, helper of those that suffer cruelly! Rejoice, O Father Nektarios, model of patience and lover of virtue. 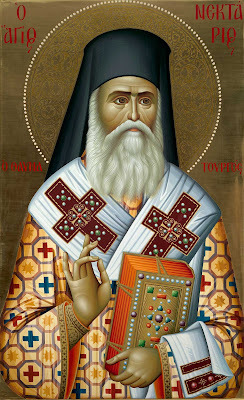 As a partaker in the life of heaven and a dweller with the angels, O Father Nektarios, in that you labored to please God, accept our present offering, and unceasingly intercede for your flock and for all the Orthodox who honor you, that we may be healed of all diseases of both body and soul, that together with you in the eternal Kingdom we may unceasingly cry: Alleluia! 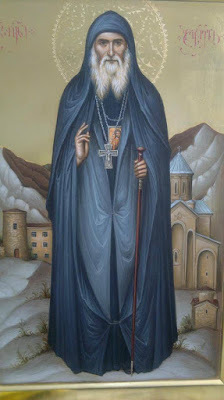 In joy of heart let us hymn with songs the newly revealed star of Orthodoxy, the newly erected bulwark of the Church; for, glorified by the activity of the Spirit, he pours forth the abundant grace of healings upon those who cry: Rejoice, O Father Nektarios, model of patience and lover of virtue. 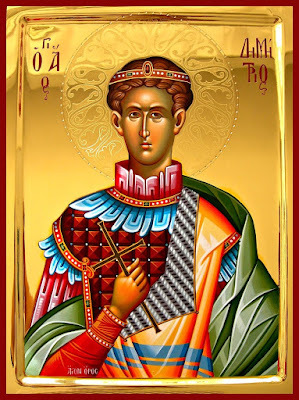 St. Gabriel the New Confessor (+1995): "The glory of Christ remains for ever..."
"Seas dry up, mountains collapse, but the glory of Christ remains for ever." "In the End Days a man will be saved by love, humbleness and kindness. Kindness will open the gates of Heaven; humbleness will lead into the Heaven; a man, whose heart is filled with love, will see the God." "This is my last will and testament: raise your prayers for everyone; your prayers will move the mountains. Love each other." 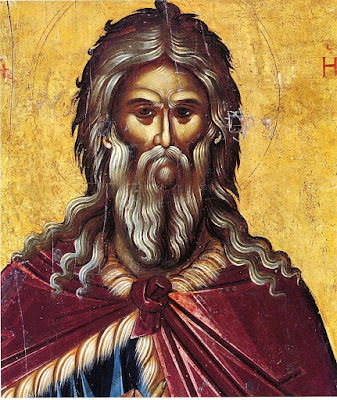 Having been adorned with a godly life, as a God-inspired Archimandrite, let us praise Gabriel with all reverence, as a light-house of clairvoyance and a healer of the sick, whose grave richly pours forth rivers [of healings], as we cry out to him: O Father, from above bless all those who honor you. 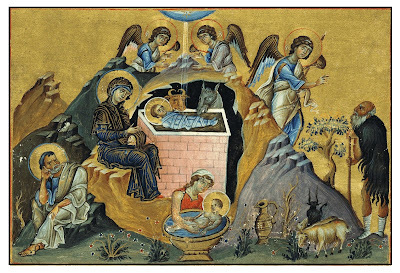 The Holy and wondrous Belt (Zoni) of the Theotokos, one of the only treasures of the Theotokos to have survived to our days, and treasured by the Monastery of Vatopedi on Mount Athos, will soon make one of its rare trips outside of the Holy Mountain. 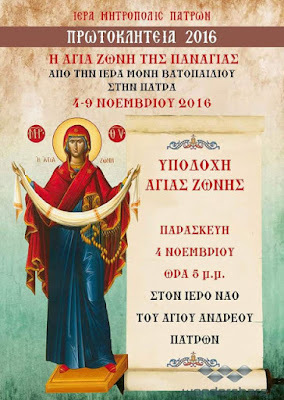 On Friday November 4th, 2016, the Belt of the Theotokos will be taken to the Church of St. Andrew in Patras, Greece. 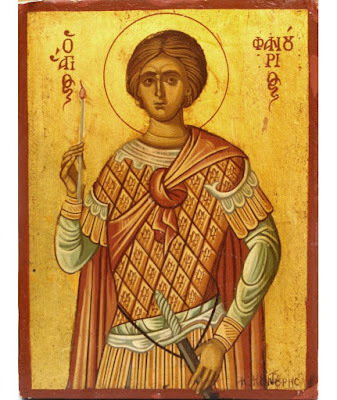 This is part of the weeks of celebration in honor of St. Andrew First-Called Apostle in the city of Patras, where he was martyred and where his holy relics are treasured to this day. 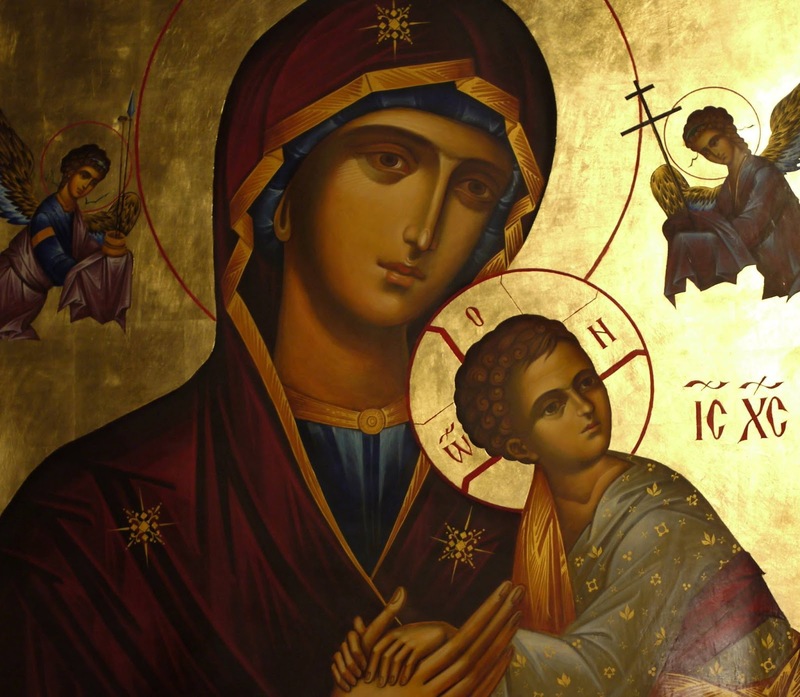 The Belt of the Theotokos will remain until November 9th, 2016. This is a great and rare blessing for the people of Greece, especially for women, children, and others who cannot visit the Monastery of Vatopedi themselves. 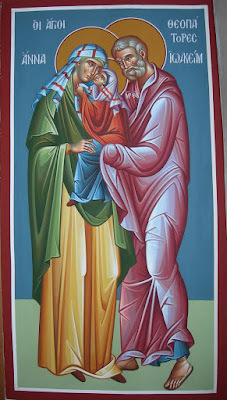 Many miracles occur through the Theotokos, especially helping couples that have difficulty having children. Please pass this on to any friends or family and take advantage of this great gift. "Having the myrrh of Christ within your soul, O Demetrios..."
Having the myrrh of Christ within your soul, O Demetrios, you poured forth noetically from your members as if from your lips, a free-flowing spring of myrrh, showing you to be a sacred dwelling-place of the grace of the Spirit. 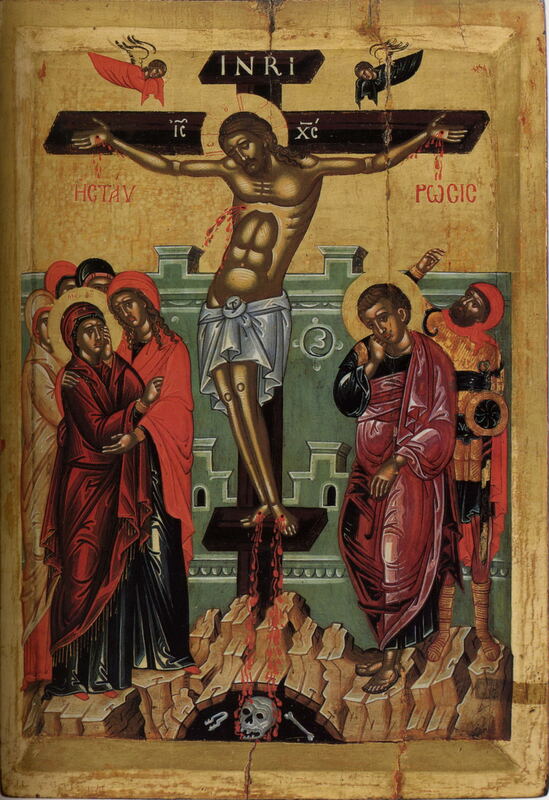 O blessed one, the thirsty Christ picked you, the ripe grape cluster, from the divine vine, and having placed you within wine vat of Martyrdom, you were trampled upon, as he made the divine spring of your myrrh to be as new, sweet wine. 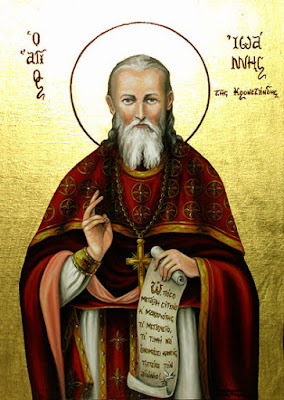 St. John of Kronstadt: "God is my strength"
I myself am all infirmity and misery. God is my strength. To know this is to me the highest wisdom, making me blessed. To pray ceaselessly does not mean solely to read prayers, to do prostrations and to go to church. Things aren't like that. We can pray ceaselessly always and wherever we find ourselves. The only thing that we need is for our heart to have a prayerful disposition. It should be humble and to ceaselessly mourn for its unworthiness and sinfulness. Full of fear [or awe] before the grandeur of God, Whom we insult with our sins. If our heart is thus, then we will always be in prayer, at work and at home. 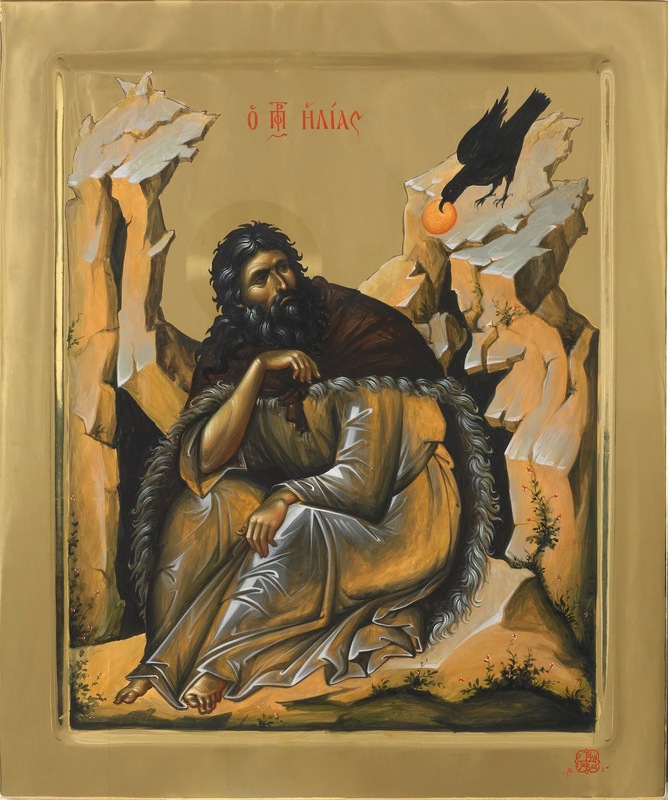 "O Prophet and seer of the great deeds of God..."
O Prophet and seer of the great deeds of God, renowned Elias, who stayed the rain clouds by your word, intercede on our behalf with the Lord who alone loves humanity. Seeing humanity's great iniquity and God's measureless love for humanity, Elias the Prophet was angry and troubled and spoke uncompassionate words to the compassionate God. "Vent Your wrath," cried he, "on them who renounced You, O Judge most just." But in no way did he move the heart of the Good to punish the ones who renounced Him. For He ever awaits the repentance of all, as the Lord who alone love humanity.